Hoosier Old Wheels was established 48years ago, in 1971, by a group of people who wanted a place to come and visit about their love of old cars and to show them off. The club wanted to encourage the members in the acquisition, preservation, restoration and exhibition of historical automobiles and all things pertaining to historical automobiles. They also promoted good fellowship and cooperation between its members and sponsors events, tours, and exhibitions of historical automobiles. 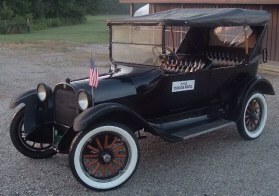 Hoosier Old Wheels has a great bunch of members with many functions and club activities held throughout the year. The main highlight of the year is the Annual Car Show & Swap Meet. Over 450 cars attend this one day show each year along with a large Swap Meet which runs in conjunction with the Blueberry Festival. Hoosier Old Wheels donates to various charities, organizations and needy individuals. We also give 2 schorlarships each year, one to the Automotive Skill Center and one to the Industrial Machinist Class at Plymouth High School who will continue their education in the automotive and Machinist field.. In order to do this, H.O.W. puts on a annual car show on Sunday of Labor Day weekend. H.O.W. 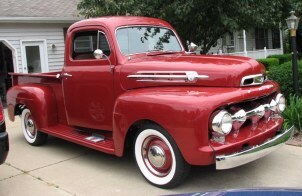 will have its 47th annual car show & swap meet in Plymouth, IN., featuring antique cars, rods, customs, trucks.